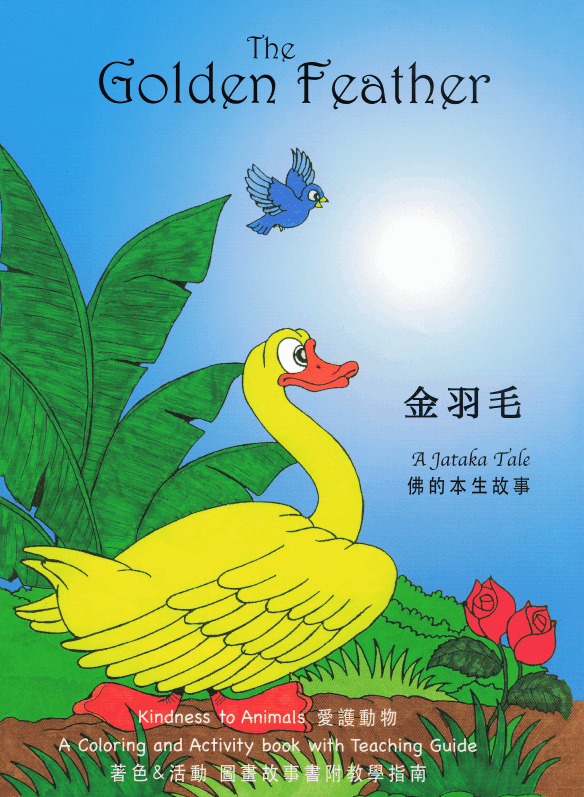 In this beloved tale, the Buddha appears as a kind father who dies and is reborn as a golden goose. Seeing his ragged children gathering firewood, he gives them a golden feather each day to sell for their livelihood and says to them, “Do not tell your mother where you got the feathers.” When the mother saw the feathers, she became greedy and secretly followed the children… Find out how the golden goose teaches the mother to turn greed into generosity and goodwill. A kindness to animals and respect for the earth series. Retold in simple words and appealing pictures that children can color. A parent/teacher guide in the back includes activities to connect to the lessons in the book, plus instructions for a shadow puppet play.